Located on the southwest side of the Vermont Technical College Randolph campus in Central Vermont, Sunset Hill has been home to alpine skiing since 1927. The Sunset Ski Club likely started in 1939. It is not known when the rope tow was installed on Sunset Hill, however it was in place by 1960s. The area was likely open to the public for its first few decades operation. Perhaps due to liability insurance concerns, only students, faculty, and other members of the Vermont Technical College community have been able to use the area since the 1970s. Due to a structural failure, the ski tow was closed for the 2010-2011 season. Construction management students rebuilt the structure in 2011, allowing the facility to reopen in January of 2012. 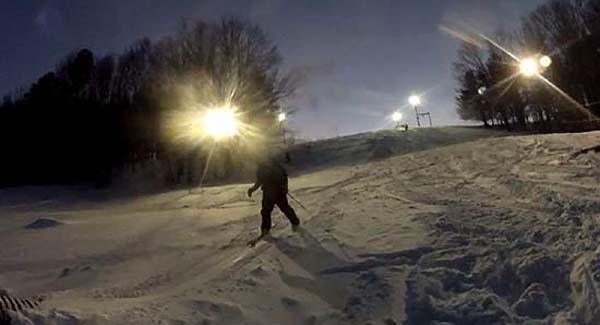 The Vermont Tech Ski Tow on Sunset Hill continues to operate for members of the college community when natural snowfall allows. The area is generally open under the lights on week nights.